That was great fun -- thanks to everyone for organising and commentating! Thanks to everyone joining! Not only did we manage to get through all the replays successfully (albeit a few technical difficulties), we even had guest player Deplore join in with his very recently obtained 600m EoSD Lunatic with ReimuB, which was a surprise! I'm very pleased with how the stream turned out, since our commentary is done entirely impromptu (with a general idea of how the replays are like). Stream delay didn't help very much either. As of now, you are still free to submit future runs but keep in mind we have over 40 other runs in our backlog (and counting! ), so it might not be until a few weeks until your replay will be shown. I apologize for the inconvenience, but even with just 11 replays with parts of them fast-forwarded, the stream lasted nearly 4 hours, longer than my estimated time. I'll make future updates as I go along! As always, the next week's replays will be posted moments before the stream starts. This week's replays will be posted on a log which will be consistently updated. EDIT: HIGHLIGHTS ARE AVAILABLE ON THE CHANNEL PROFILE! For anyone who missed it. Hi, regarding my submitted IN run, I need to add that it's a Route B run, forgot to specify earlier. Haven't had time to watch the stream yet, will do so later. Can I just say in advance, thank you and your team for taking the time and effort to show all these great replays! I really appreciate all your hard work in presenting this showcase. No problem! We're really glad to be doing such a thing too, thanks for your appreciation. We always check replays after submitting, so don't worry about that. We were glad to have your replay! You did a fine job. I mentioned this in discord while the stream was live so I'm not sure how many of you (aside from Pearl, who replied) saw, but if you have such a large backlog (and a stream takes that long), then it might worth considering having 2 smaller streams a week with 6-7 replays each, instead of one large one with 10. That way you would get through the backlog quicker and the streams wouldn't be as long. I don't believe you would run short of them anytime soon either way. Of course, this needs to tie in with the schedules of the hosts, naturally (so it might not be feasible in the end). Alternatively, to cut back on the length of the stream, you could try not having 9 full game runs or whatever. Put in one or two extra stage runs or the single stage/spell replays that I'm sure some people submitted. Naturally, this was the first stream so it wasn't possible to tell how long it would end up being, so maybe this is still sort of within expectations. I'm just throwing in a suggestion for you to consider. Good job on the first stream. I have thought about a few methods to cut back on stream length as well as going through the backlog, and am still trying to find a way that will make it work better. The main reason why I'm only able to do something like this on a weekend is because for most of us, the school year has already started which automatically means weekdays will almost never be an option. It would have been more viable in the summer, but not now. And yes, for the next week I have put in some variations to the submissions so full game replays don't take up as much time slots as it currently does, and I have included a few submitted spell replays as well. The stream did end up taking slightly longer than my estimated time so I'm looking for ways to save (read: not waste as much) time. The second stream will be starting in less than 8 hours from now! Week 2's lineup is as follows! IMPORTANT: Due to specific hosts and participants attending today's STGW (which is happening at the same time as our original weekly time), the time of our stream will be pushed back by 90 minutes. The new time is 8:30PM UTC+0. Convert this time as you wish. If you're going to showcase my run next week, don't, because I'll be busy next Saturday and I want to see my own replay on stream. I've noticed that you can now adjust the quality of the stream video, which is excellent for people with really slow internet like mine! So, I'd like to thank all the people who watched the streams, because you've made my ability to watch them much easier! Unfortunately I can't join you guys 'live' (the stream starts at 5am Sunday morning for me), but on watching the highlights, I enjoy your interaction with people posting chat comments. I also like that you analyse gameplay, but also go into trivia and other details regarding the games. I've definitely learnt a lot already! I'm sorry. I've learnt my lesson. I have changed my ways. I wanna pull off that No Miss run of TD Normal so I can send that replay. I almost did it but I derped right near the end of the Miko fight. I'm not gonna submit anything juuuust yet but I'll probably tune in, if I'm not recording anything. I'd prefer to play more and get a feel for my current skill level and play well so I can put a decent replay up (at least, something I deem decent for my skill level). In short, the way in which we pick replays is not random - there is indeed a given set order. The reason why your run may not have been shown yet is because we have a very long list of replays in queue, and most of them were submitted during the first week. Your run definitely isn't abandoned yet - it will most definitely be shown on a future week! Our 4th weekly stream starts in less than an hour from now! Stay tuned. 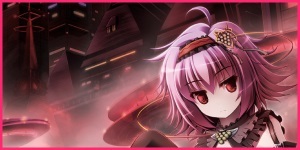 I'm the one who did ISC's 10-4, Remilia's Fitful Nightmare, with no items and in two loops. And yeah, Remilia has to move to that exact position or a bit higher for it to be possible. I learnt it was possible after seeing some Japanese replays on Niconico, and since I just couldn't damage her enough before the first loop started, I ended up trying to beat her in two loops. After I while, doing only one loop (the first or the second one) was rather easy, but actually surviving both was indeed really difficult, specially because of the luck factor involved. I'd like to withdraw the EoSD replay I submitted and submit a new one. Is that okay? This is week 5's list! The stream will begin in less than 2 hours. lol missed the stream, but I'm Lyrical Ririka. I did that run back in January 2015. Not one of my best runs in the game but I submitted it since I figured no one has ever saw a solo human scoring before. BTW, I used bombs on the stage 4 fairies because Reimu can't kill the fairies fast enough, even with the safespots, to give you time to POC before the next pair of fairies come. Pretty impressive run, TBH. Looking forward to seeing more runs from you. Week 7's list has been posted. Here is week 8's list! But as a reminder, even though all will be shown, what is shown will not necessarily be the final order. Week 9's schedule has been posted. Week 10 is up! Unfortunately due to real life obligations, a few of our hosts will be unable to attend this week.